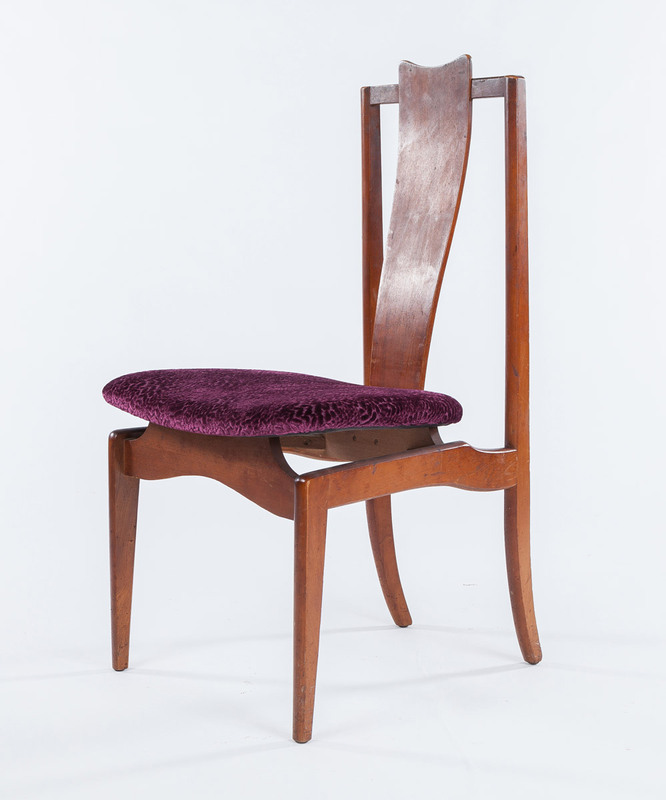 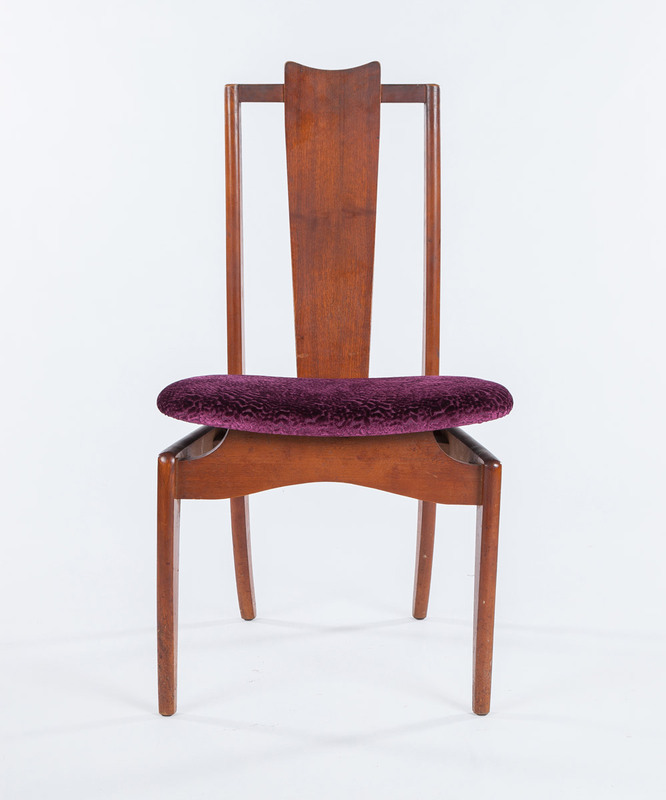 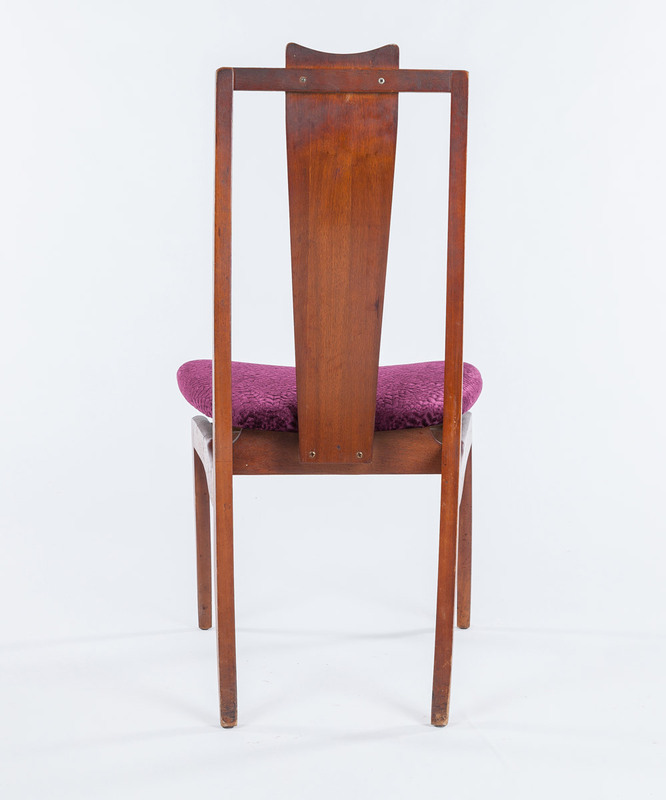 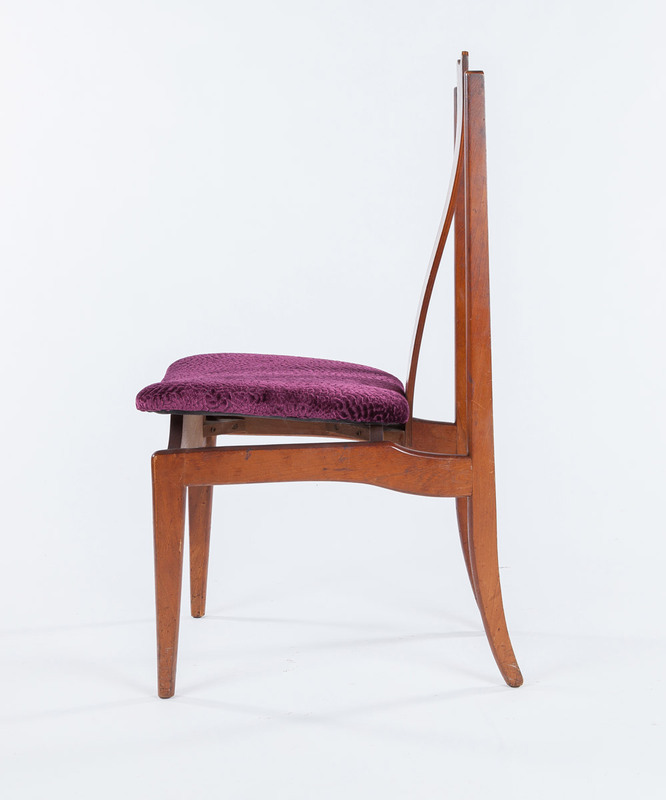 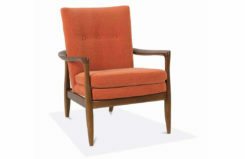 A mid-century modern high back chair. 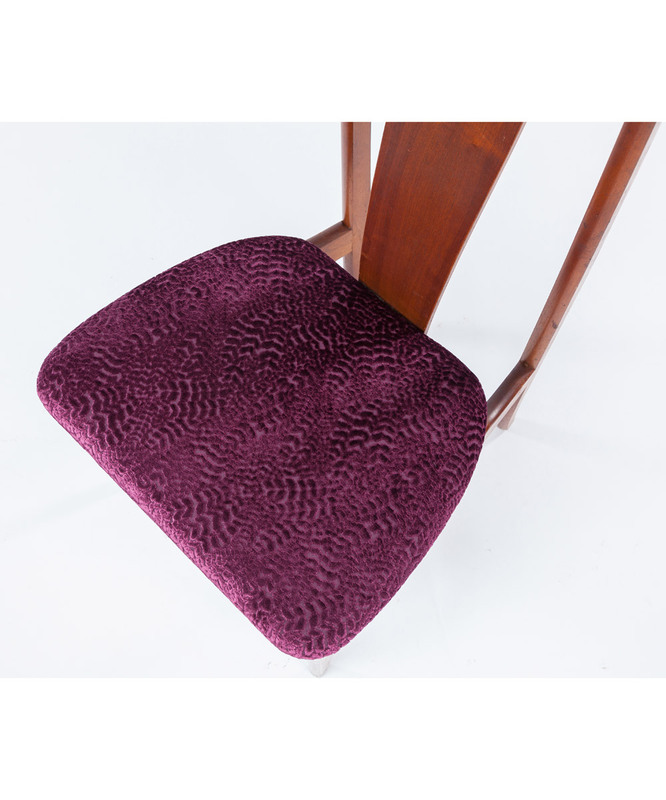 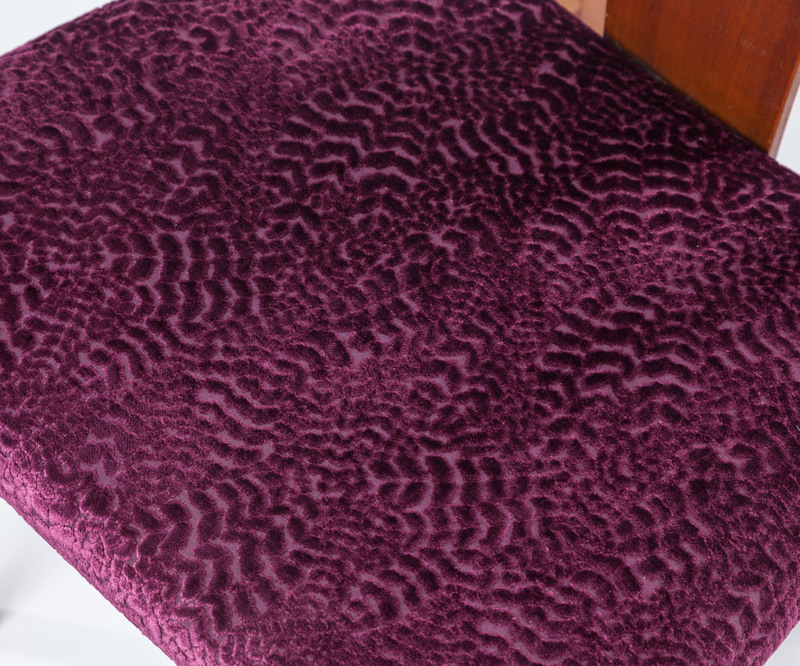 Re-upholstered in an Osborne & Little magenta cut velvet fabric (51% viscose, 30% cotton, 19% polyester). 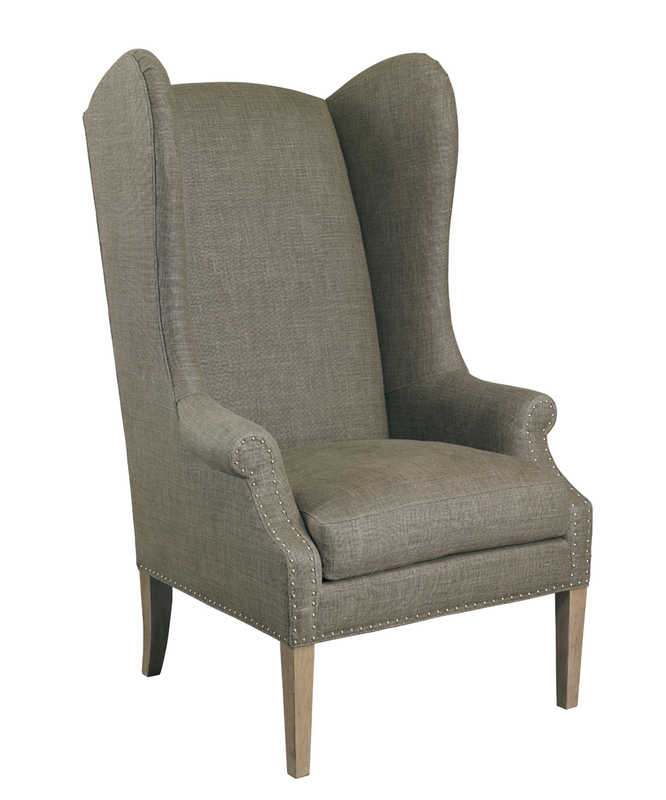 The chair measures approximately 20″w x 20.5″d x 37.5″h. 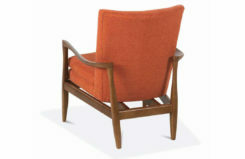 For more information on ordering this product please contact josephine@kurtzcollection.com or 800-863-0442.